Renault has cut its model range in the UK down to just seven core models as it makes room for more electric ZE models as well its new value Dacia brand. So from 1 February 2012 the Modus, Kangoo car and Compact van, Wind Roadster, Laguna and Espace will no longer be on sale. Gordini models are no longer being offered either. Instead Renault will be concentrating on the recently revised Megane range plus the facelifted Scenic which still comes in five and seven-seat versions. It's also available with a new Luxe Pack which adds 17-inch Sari alloy wheels, a Bose sound system, dual-zone climate control and the new Visio System which includes lane departure warning and automatic high/low beam, for £1,500. There is also the 'new' Twingo, which goes on sale next month. To help keep things simple these models have up to three versions per model, excluding Renaultsport. 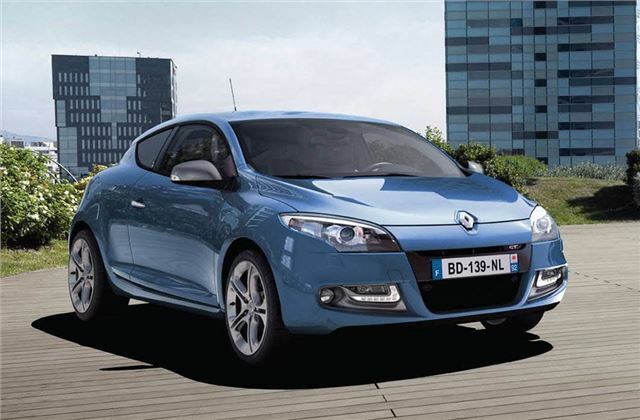 The Clio and Megane come in three trims - Expression+, Dynamique TomTom and GT Line TomTom. As for the ZE electric models, these include the Fluence ZE, priced from £17,495 after the government plug-in car grant while battery hire is £70 a month. There is also the oddball Twizy, which starts at £6,690 plus monthly battery hire from £45. Options include half scissor doors for £545 and a ‘clear sky roof’ for £195. Blue, green and orange interior and exterior wraps for even greater distinction are available as a no-cost option. This Autumn will also see the launch of the Zoe, a Clio sized electric car. 2012 is also set to see the launch of the Dacia brand in the UK with the Duster and the Sandero the first models to be introduced.